Albrechtslund, A. (2008). Online social networking as participatory surveillance. First Monday 13(3). URL: http://firstmonday.org/article/view/2142/1949. Barnes, S. (2006). A privacy paradox: Social networking in the United States. First Monday, 11(9). URL: http://firstmonday.org/htbin/cgiwrap/bin/ojs/index.php/fm/article/view/1394/1312. Baym, N. (2007). The new shape of online community: The example of Swedish independent music fandom. First Monday, 12(8). URL: http://131.193.153.231/www/issues/issue12_8/baym/. Beer, D. (2006). The pop-pickers have picked decentralised media: The fall of top of the pops and the rise of the second media age. Sociological Research Online, 11(3). URL: http://www.socresonline.org.uk/11/3/beer.html. Bild-Zeitung. (2008). Facebook, StudiVZ, Xing und Co.: Studie warnt: Daten sind nicht sicher genug, September 29. URL: http://www.bild.de/BILD/digital/technikwelt/2008/09/26/facebook-studivz-xing-und-co/studie-warnt-daten-undfotos-sind-nicht-sicher.html. Boyd, D. (2006). Friends, Friendsters, and MySpace top 8: Writing community into being on social network sites. First Monday, 11(12). URL: http://firstmonday.org/htbin/cgiwrap/bin/ojs/index.php/fm/article/view/1418/1336. Byrne, D. N. (2007). Public discourse, community concerns, and civic engagement: Exploring black social networking traditions on BlackPlanet.com. 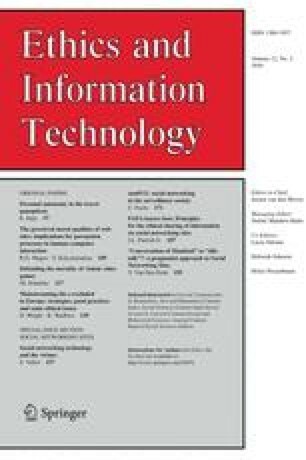 Journal of Computer-Mediated Communication, 13(1). URL: http://jcmc.indiana.edu/vol13/issue1/byrne.html. Cain, J. (2008). Online social networking issues within academia and pharmacy education. American Journal of Pharmaceutical Education, 72(1). URL: http://ukpmc.ac.uk/articlerender.cgi?artid=1272624. Die Zeit (2007) Internet Ärger um die Nutzerdaten: Das erfolgreiche Studentennetzwerk StudiVZ will endlich Geld verdienen - und handelt sich prompt Kritik von Datenschützern ein, December 27. URL: http://www.zeit.de/online/2007/52/studivz?page=all. Dwyer, C. (2007). Digital relationships in the ‘MySpace’ generation: Results from a qualitative study. In Proceedings of the 40th Hawaii International Conference on System Sciences. Los Alamitos, CA: IEEE Press. URL: http://csis.pace.edu/~dwyer/research/DwyerAMCIS2007.pdf. Ferdig, R. E., Dawson, K., Black, E. W., Black, N. M. P., & Thompson, L. A. (2008). Medical students’ and residents’ use of online social networking tools: Implications for teaching professionalism in medical education. First Monday, 13(9). URL: http://firstmonday.org/htbin/cgiwrap/bin/ojs/index.php/fm/rt/printerFriendly/2161/2026. Jones, S., Millermaier, S., Goya-Martinez, M. & Schuler J. (2008). Whose space is MySpace? A content analysis of MySpace profiles. First Monday, 13(9). URL: http://firstmonday.org/htbin/cgiwrap/bin/ojs/index.php/fm/article/view/2202/2024. Kim, K. -H., & Yun, H. (2007). Crying for me, crying for us: Relational dialectics in a Korean social network site. Journal of Computer Mediated Communication, 13(1). URL: http://jcmc.indiana.edu/vol13/issue1/kim.yun.html. Lange, P. (2007). Publicly private and privately public: social networking on YouTube. Journal of Computer Mediated Communication, 13(1). URL: http://jcmc.indiana.edu/vol13/issue1/lange.html. Liu, H. (2007). Social network profiles as taste performances. Journal of Computer Mediated Communication, 13(1). URL: http://jcmc.indiana.edu/vol13/issue1/liu.html. Stutzman, F. (2006). An evaluation of identity-sharing behavior in social network communities. iDMAa Journal, 3(1). URL: http://www.units.muohio.edu/codeconference/papers/papers/stutzman_track5.pdf.